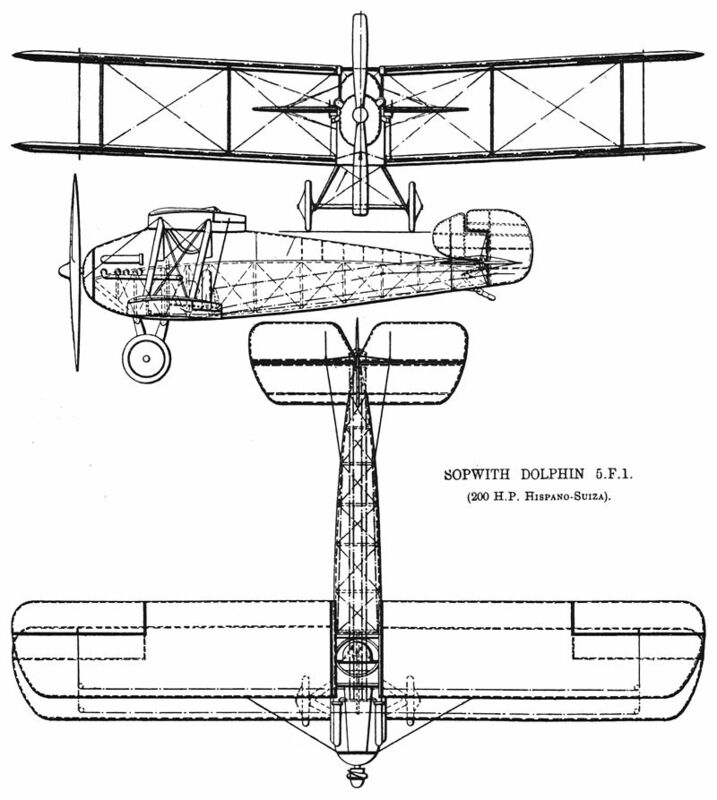 The Sopwith Dolphin was a British, single-seater fighter pilot who was deployed in the Royal Flying Corps in early 1918 and later in the Royal Air Force. At the beginning of 1917, under the direction of the chief designer of the Sopwith Aviation Company, Herbert Smith, the development of a new fighter pilot was started, which was to be designed for the 200 hp Hispano-Suiza 8B engine. With the internal designation 5F.1 an airplane was developed, with which the upper wing was divided to improve the view of the pilot. In order to adjust the centre of gravity of the aircraft, the lower wing was moved forward by 33 cm and was therefore no longer directly below the upper one. 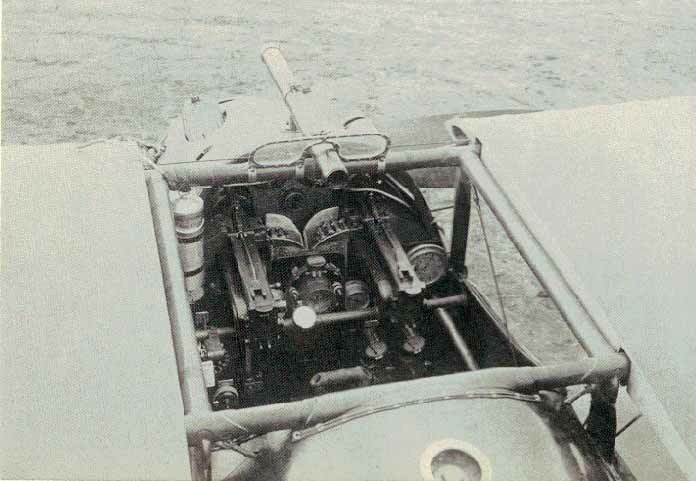 Due to missing engines the first prototype was equipped with a 150 HP Hispano-Suiza 8B V8 engine. On 23. May 1917 the first test flight of the new airplane took place. In June the transfer to the French Saint-Omer took place where pilots of the 60th squadron tested the airplane extensively. After the completion the airplane could convince both the pilots and the British Ministry of Defence, so that first 700 airplanes were ordered. Shortly after the first test flights a second prototype was built. Instead of a frontal cooler an upper wing cooler was installed. In addition, the lower wings were given some cut-outs to improve the pilot's downward visibility. However, these modifications were not included in the later series production. Also the third and the fourth prototype contained some changes at radiator, fuselage lid, fin and rudder, whereby the fourth prototype was used as basic type for the series production afterwards, which started from October 1917. The initial delivery problems with the actually planned Hispano-Suiza 8B engine were mainly due to the bad metal which was used for the processing. 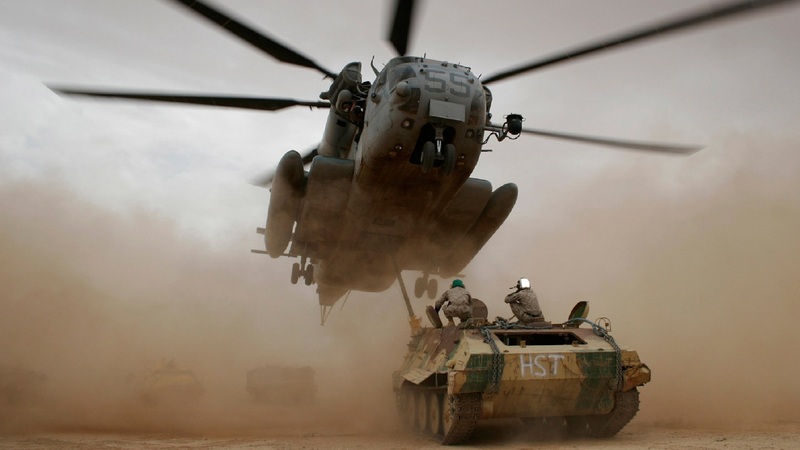 This led to numerous failures of the reduction gear and to a slowdown of production. In addition, the French aircraft of type SPAD S.XIII were to be equipped with the engines first, before the Sopwith Dolphin received them. The supply with the engines improved only at the beginning of 1918, after another French company was assigned with the licence construction. By the end of the war 2.072 aircraft could be built. In February 1918 the delivery to the 19th and 79th squadrons began. In March followed the 87th and 23rd season. At the beginning of the missions the new airplanes were inadvertently held for German airplanes, so that these were attacked by British air defence cannons or also by British and Belgian pilots. In addition, the split upper wing caused fears, especially among inexperienced pilots, that a crash landing could lead to serious injuries to the head and upper body. However, the fears were quickly refuted by tests. After the first missions, the aircraft quickly became more and more popular with pilots. It was fast, agile and with experience easy to fly. In addition, it could be used at great heights and thus the German reconnaissance planes of the type Rumpler C.VII could be fought decisively. Altogether four squadrons were completely equipped with the Sopwith Dolphin, other squadrons had these airplanes as supplement. With 89 shot down German airplanes the 87th squadron was one of the most successful with these airplanes. 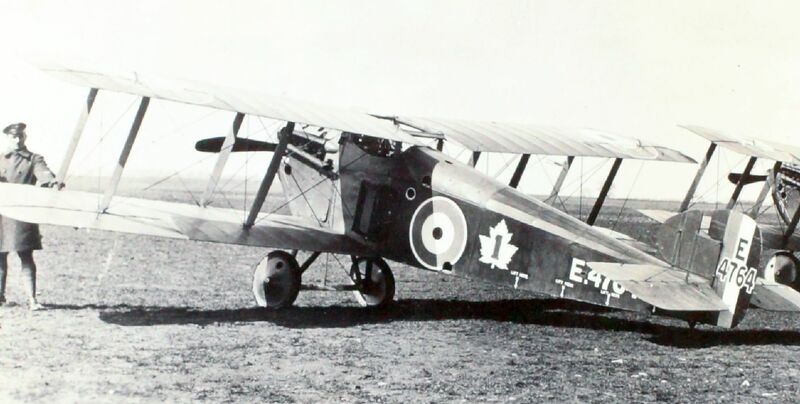 Beside the British air force also at the end of the war it was started to equip a Canadian squadron with the Sopwith Dolphin airplanes, however this was operational only shortly after the surrender of the German Empire. After the war the air force of the USA bought also some airplanes for test purposes.